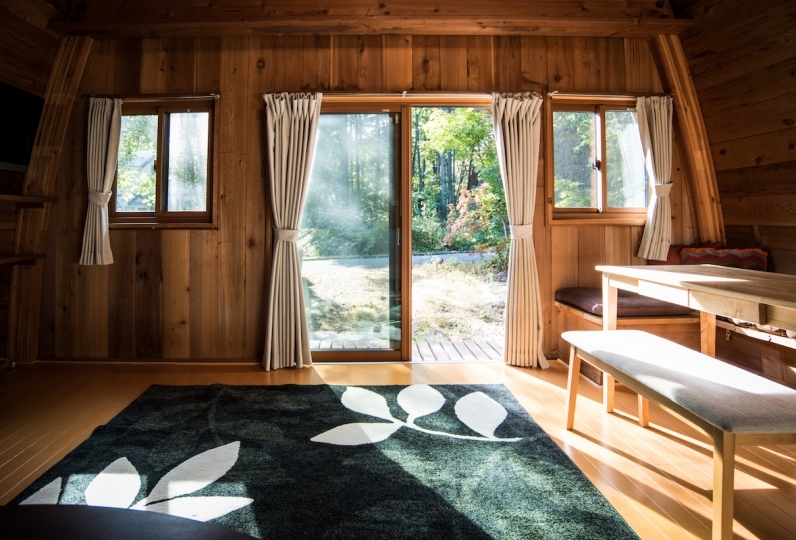 Be comforted by nature at this land, Shinshu. 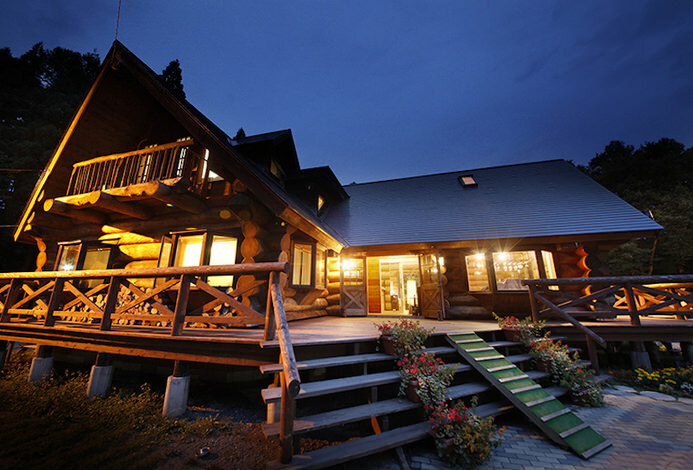 The grand landscape including the Northern Alps surround Hotel Ougiya and create a calm atmosphere. One of the best parts of the hotel is the Shinshu Japanese Western Style Creative Cuisine. 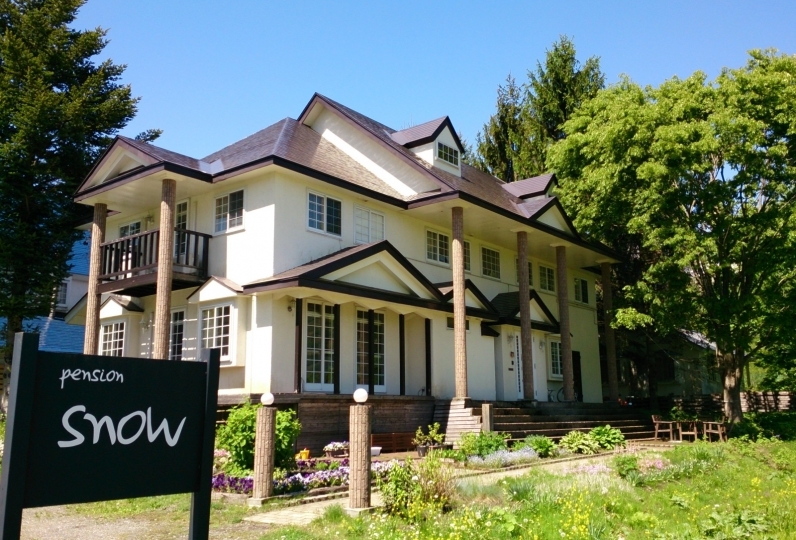 The food cooked by the owner, who was approved by the Consulate-General Chef in Switzerland is a mixture of Western Cuisine and ingredients from Shinshu area. Enjoy the luxurious dishes that can only be enjoyed here. 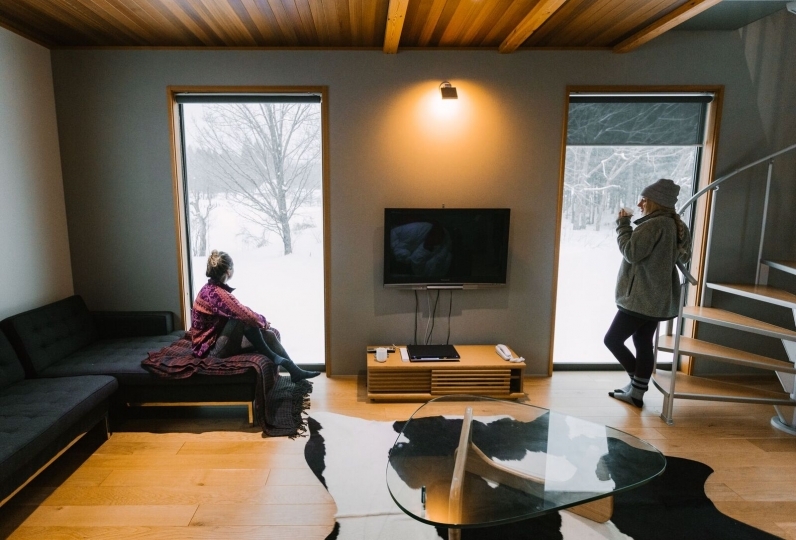 From your room, you will be able to see the scenery of Shinshu that changes as the seasons pass by. 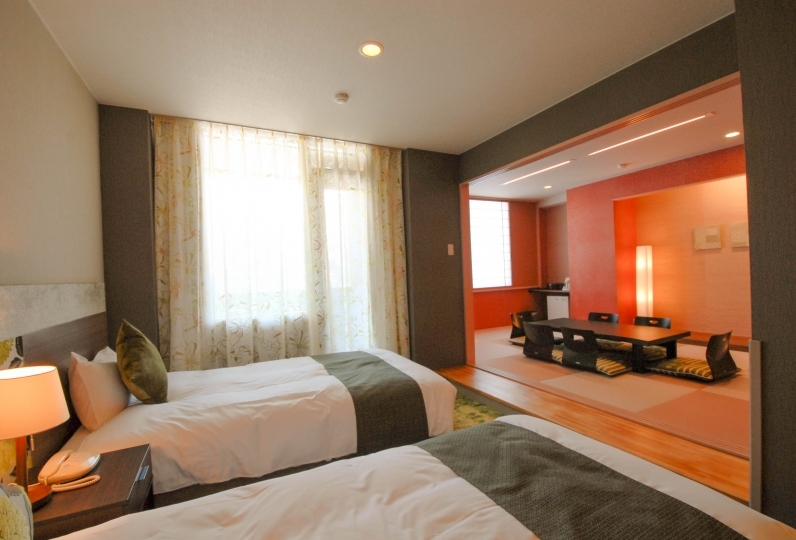 Both Western Rooms and Japanese Style Rooms are made to be comfortable. 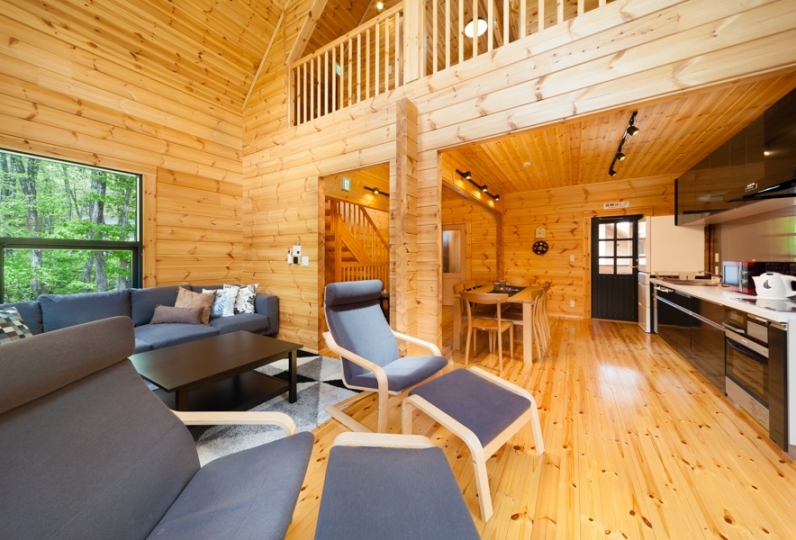 Enjoy looking out at the beautiful scenery while you relax in your room. 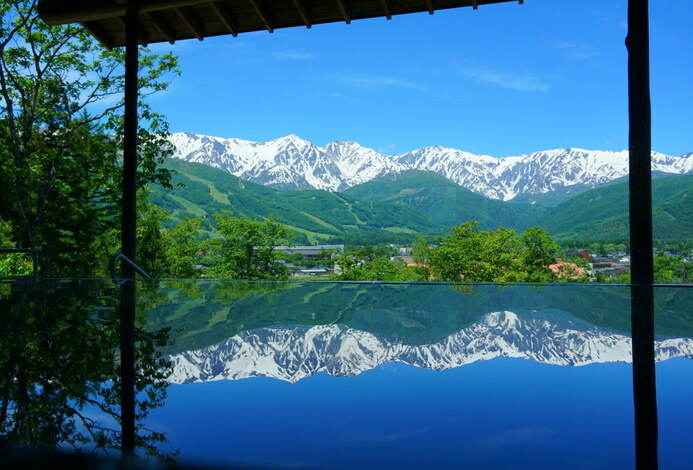 The hot springs of Hakuba Happo Onsen, are well balanced in minerals. It is also called "Bijin-no-yu (Onsen for beauty)" and is popular among women. Get your mind and body refreshed while bathing. It is E who let me stay overnight by three people on August 31. Thank you for being indebted the other day. Despite the weather being so bad we had a very good and memorable trip. The course meal for dinner was delicious and relaxing more slowly than I thought. Then, the hot spring was comfortable and my skin became slippery. Thank you very much for your early breakfast. Thankfully, I slowly enjoyed the Kurole River Tateyama Alpine Route to Murodo. The meal was delicious, the room was large and comfortable, I was very kind. Thank you very much. In addition, my family says that I would like to say it. I think that I would like to ask again if possible. It was my wife 's birthday on the day, but thankfully both of my husband and wife had a wonderful time. Although the impact of cost reduction on amenity etc. 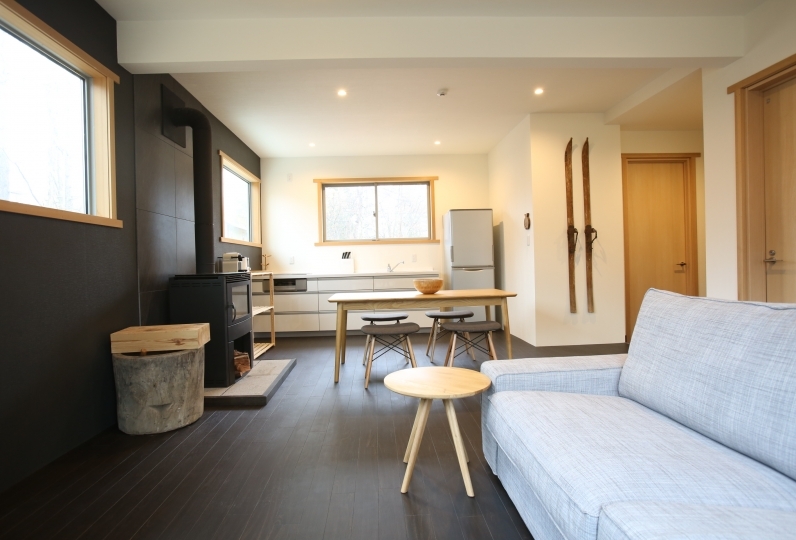 was visible, buildings and facilities were not up to date, but the hotel is clean, I think that the quality of cooking, hot springs, hospitality was supplementary to it. The price was not so expensive, but I was very satisfied even if I did not care about it. I would like to use it if there is another opportunity. The meal and the customer service were wonderful. The meal enjoyed the taste of the material, it was able to give it to the child safely with seasoning not too strong. Adults were delicious, too. 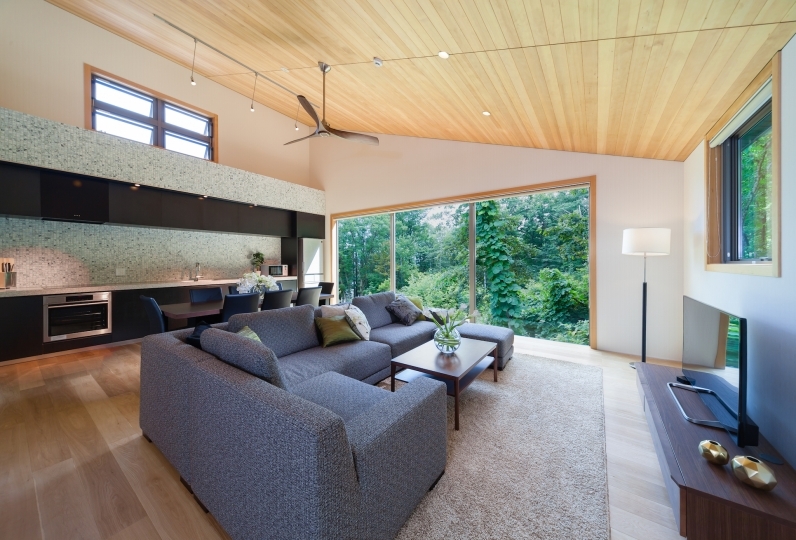 The staff was able to relax slowly with a very warm at-home reception. I want to come back to play again. Enjoy dinner and breakfast that is cooked with carefully picked out ingredients in the open restaurant. The restaurant has a modern ambiance, which is also used for weddings. 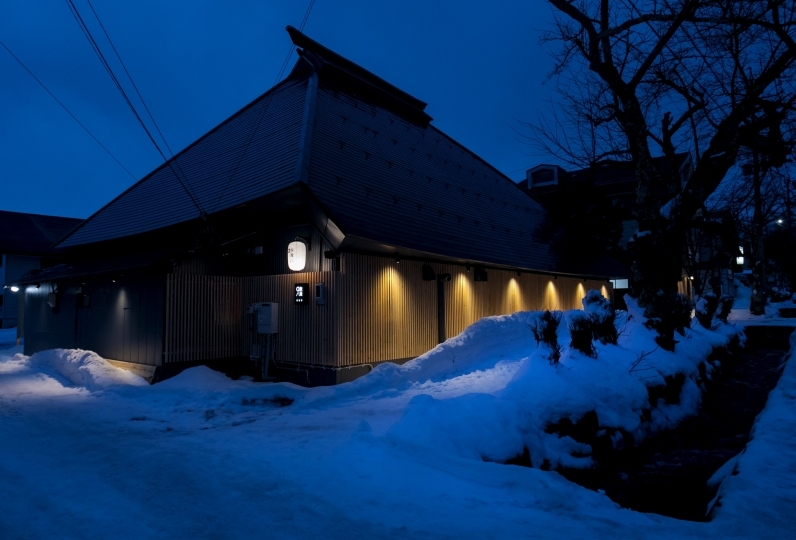 Hakuba Happo Onsen is also said as "Strongest Alkali Onsen in Japna" and is located in the top 3 for Alkali Onsens. Please enjoy the water from this Hakuba Happo Onsen in the overflowing bath tubs in the hotel. As the molecules in the bath are very small and is very smooth against your skin, it is called the Bijin no yu (Water for beauty). 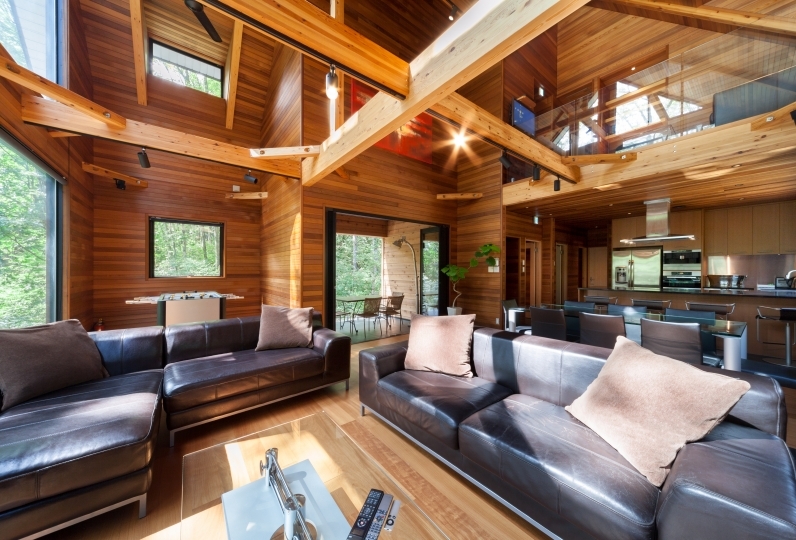 Spend some time getting your body and mind refreshed while being surrounded by nature. ※Smoking is prohibited in the building. Please use the smoking area on the first floor.